GAM Gear, LLC, a leading provider of servo gearbox and coupling solutions for the automation industry, announced the release of the LSK and the EPL-H – the industry’s first-ever motor mounting kit and planetary gear head that can specifically be adapted to Festo®* actuators. "Many of our customers have had challenges developing and assembling brackets that connect motors and gearboxes to Festo® actuators," explained Craig Van den Avont, president of GAM Gear, LLC. 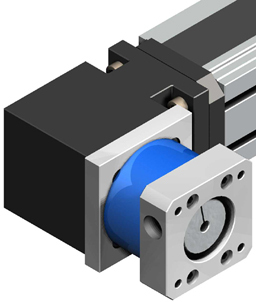 "We’re pleased to introduce a motor mount kit and planetary gearbox that comes ready to bolt directly to a Festo® actuator." The GAM LSK is a customized mounting solution that is designed to connect any motor to a linear actuator. The LSK is offered in multiple sizes and includes the coupling and mounting hardware. The EPL-H is a unique hollow output planetary gearbox that mounts directly to the actuator and to any motor. The EPL-H is offered in three frame sizes. 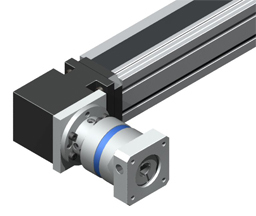 "We hope this universal solution will help make mounting to Festo® actuators easier," said Van den Avont. "We’re committed to meeting our customers’ needs as we strive to manufacture custom and universal solutions that make application design a more seamless process."